Forget everything you ever knew about advertising. The game has changed, and consumers have never had more control. Their eyeballs, their swipes, and their expectations are leading the charge for seamlessly integrated, aesthetically pleasing, value-added content and brand experiences. The need for creative storytelling, built upon emotional connection, that compels consumers to action is immutable. But how we get there has been forever disrupted by digital. The 2016 IAB MIXX Conference, taking place September 26-27 in NYC explores Advertising’s New World Order. Join top industry leaders and thinkers as they share insights about the reinvention of media, platforms, creative, and business models. The industry must leave the ways of the old world behind, or risk losing out. Don’t miss this. Don’t be left behind. The IAB MIXX Conference has it all. Content. Expert presenters. Solutions providers. Networking. You won’t find this kind of education or audience at any other industry event. This conference will sell out. Secure your seat today. Brands, publishers, and agencies are adapting to new technologies and new emerging challenges every day. McDonald’s has embraced the uncertainty by charting its own business transformation, with marketing as the tip of the spear. Hear from Deborah Wahl about how McDonald’s is using the marketplace’s disruptive forces, and a new set of principles, to redefine and reinvent the McDonald’s customer experience along the entire consumer journey, leading the brand and business to long-term success. 360i Executive Chairman Bryan Wiener outlines how and why agencies and marketers need to co-create the agency of the future that will shepherd growth and innovation for brands in the disruptive digital age. With competition coming from every corner of the ecosystem, and marketer challenges becoming increasingly complex, we know that the only constant is change. And marketers need their agency partners to be change agents, guiding them on the forefront of this rapidly evolving digital world. While there’s no “one size fits all” solution, there are fundamentals that consistently emerge in the successful agency partnerships that lead the way. Bryan examines the key attributes of the agency model that will rise to the top over the next five years. Take Pokémon GO as the expression of the precise moment in which we are living. Designer, researcher, and entrepreneur Kevin Slavin outlines the 15 years that brought us to this point, from the point of view of Area/Code, the company that did much of the pioneering work in the locative gaming space. This is all to ask: Where does it go from here? Now that humans are connected to physical space in radical new ways, what will the next wave of connectivity unlock? Deborah Wahl, Bryan Wiener, and Kevin Slavin join Randall Rothenberg in a discussion on how brands, agencies, platforms, and publishers can—and should—work together to pursue the opportunities ahead in advertising’s new world order. It has never been more exciting to be in advertising than right now. The combination of data, technology, and transparency means that both brands and consumers win—if it’s done right. Lars Bastholm, Global Chief Creative Officer of The ZOO, Google’s creative think tank for brands and agencies, sheds light on why he thinks the toolbox has never been bigger or more fun. Learn how brands are using Watson today and get a first look at the Watson Ad with The Weather Company and early brand adopter, Campbell’s Soup Company. Throughout history, we’ve seen traces of technology enabling humans to create—from Da Vinci’s use of the camera obscura to Caravaggio’s work with mirrors and lenses. Today, with the prevalence of AI technologies, it’s possible to build “thinking” capabilities into virtually every digital application, product, and system. It is estimated that more than 50 percent of apps developed will embed some kind of cognition by 2018. Already, professions and industries from law and environment, to medicine and marketing, use cognitive technologies to extend human expertise and pursue a whole new generation of moonshots. With the elections only a few weeks away, political advertisers have certainly honed their skills to drive voter engagement in a new world. Hear from experts who have harnessed the power of sight, sound, motion—and interactivity—as they share case studies and best practices for all marketers to own all screens. How does a brand maximize its reach across devices, without engaging the wrong people? Learn how the NFL and Conversant worked together to effectively connect with individuals at scale, by accurately matching existing viewers to their online profiles, and then expanding out to custom audiences—driving engagement, tune-in, and conversions. What is customer recognition? One of the greatest challenges to finding customers is how easily data becomes fragmented and signals get crossed. If you can understand and connect with customers, you have the opportunity to offer a meaningful, personalized experience with your brand. Today, companies can provide truly beneficial marketing, at the right time and through the right channels. In doing so, it adds value and maximizes the potential for new customers. Learn how to find your perfect customer across a sea of different channels—and make meaningful connections with them. Discover how to maximize new customer potential and incorporate best practices for improved customer experiences. Billions of dollars are being invested in mobile video as the next platform to engage users and drive business metrics, but are campaigns actually engaging users or being swiped right? In this session, MediaBrix debuts its latest neuromarketing research to help brands answer critical mobile advertising questions such as: What kind of human attention does my mobile video campaign garner? How do we measure user receptivity and impact? Which mobile executions ensure mental encoding and consideration? What’s the “Race to X” factor that plagues most mobile advertising today, and how do we prevent it from happening? As brand marketers, we must think about the entire omnichannel customer experience beyond the channel silos that naturally exist. It’s infinitely bigger than the social tile you tweeted, the display ad you purchased, the targeted email you blasted, or the website you personalized. It’s about delivering a true omnichannel experience—one that is enabled by analytics. This session explores case studies from companies that are succeeding by elevating the role of analytics in their omnichannel marketing strategies. Hear best practices for building analytically driven marketing strategies to drive incremental revenue, improve retention, and create customer experiences that matter. Not all video is created equal. As new ad formats enter the mix (vertical video, anyone? ), and publishers open up more of their sites to video ads, consumers have more viewing choices than ever before. People have strong preferences when it comes to how they want to watch video—and what they’ll just plain refuse to view. Unruly and Kent State share the results from a new study on consumer viewing preferences and discuss the importance of having a good mix of formats to nail your KPIs—and how to keep people watching (not skipping!) your ads. What Is Programmatic Native, and How Can It Help You Unlock Mobile? Today, advertisers and publishers need to foster positive consumer experiences to retain attention and engagement. While native advertising isn’t a new concept for engaging consumers, the technology to scale native ads across all publishers and screens is just coming to fruition. Programmatic native ads allow publishers to foster positive experiences by putting the same care into their ads as they do in their content. And advertisers can now easily build ads that fit the form and function of surrounding content, across sites and apps. In this workshop, Karin Hennessy, Product Manager at DoubleClick, and Mat Harris, Vice President of Product at Sojern, discuss best practices for incorporating native ads into programmatic campaigns. They also highlight recent examples of native ads from Sojern’s travel clients. Header bidding has exploded as a technology adopted by publishers. In this roundtable, speakers discuss the state of header bidding, dispel myths, and provide a view into the future of buying and selling. Cities today are more exciting to live in than ever before. While the last few years have been dominated by mobile, social media, and online innovation, we are seeing a transformation in advertising that will manifest in the physical world, imitating what has gone before it online. With the proliferation of digital displays on our streets and urban-scale connectivity, we’re moving towards the Physical Web, bringing new opportunities for brand engagement, data insights, and user experiences. In this session, learn how brands are shifting to take advantage of a new frontier in advertising innovation, and discover how the integration of the digital and physical worlds will shape our future cities. Madison Avenue’s nostalgia for a golden age of creativity stands in stark contrast to Silicon Valley’s optimism for a utopian future. If you look deeper, you see a clash of creative cultures; one rooted in simple story telling, the other in innovation and systematic design. Nick Law shows the power of uniting these ways of thinking; and how the result is the perfect intersection of simplicity and possibility. Dig into the topics that matter most to your business objectives. Changing consumer behavior and the demand for a personalized ad experience has given way to the explosion of content marketing and the paid distribution of that content via native advertising. Brands and media companies alike have launched a plethora of in-house studios with dedicated teams tasked with creating and distributing original sponsored content. This track takes a deep dive to explore the effectiveness of branded content on consumers and highlights the benefits of the strategy for media companies, agencies, and marketers, while ensuring that consumers are aware of voice and ownership. The transformation of video viewing habits has resulted in constant innovation and the convergence of digital video and TV. Even the video trifecta of sight, sound, and motion is evolving with the advent of new technologies. This track takes a deep dive into the challenges and opportunities related to content, data, and distribution, and explores what the future has in store. user experience and optimize future campaigns. With more ways to create and distribute content than ever before, brands today are reinventing their approach to storytelling. Consumers have great expectations for this kind of content marketing, and they’re challenging brands to up their game by creating content experiences that inspire real connections and emotional reactions. Learn how to master the art of storytelling and hear first-hand how brands have partnered with Yahoo Storytellers to achieve real results. As the lines between digital video and TV continue to blur, the use of data and ad technology to connect viewers across screens has proliferated. Until recently, however, one screen has been conspicuously absent: TV! But with advancements in data-enabled TV technology, and an opening supply of data-enabled inventory, TV is now solidly in the programmatic game. Scott Ferber explains how advanced TV works, and shows case studies from advertisers already using it. Hear from marketer Bruce Dincin about successfully driving brand results with data-enabled TV strategies. If you believe the headlines, shortcomings in digital delivery and measurement sent advertisers to a handful of major platforms and back to traditional media. How can digital unleash its full potential? Nielsen’s Senior Vice President of Product Leadership provides a perspective on how to improve digital delivery, reduce measurement variances, and maximize efficiency and effectiveness. While creating great content is key, distributing that content through the most appropriate channels, and making sure that it is optimized for both discovery and relevancy by your target audience, is just as critical. In this session, industry experts discuss best practices for determining suitable strategies for the type of content—as well as specific goals—and shed light on ways to measure success for various paid distribution and native advertising means. In an ever-evolving market, repurposing TV content for new and emerging platforms, or taking short-form video to the big screen, no longer satisfies the cross-screen consumer. Industry experts share best practices for creating the most relevant content for each platform to attract and retain audiences. Learn how the creative community can, and should, integrate data to inform more personalized content. This has been the year deemed the one when we moved beyond viewability. Following the release of the mobile viewability guidelines, the industry has been rallying behind digital’s new currency—the digital GRP. However, questions surrounding the adoption of the new currency, as well as the ability to update existing business processes, have emerged. Hear how media companies and marketers alike are preparing for a smooth transition to the digital GRP as the new currency on both desktop and mobile. In an era of unprecedented choice, empowered users are defining their “inner circle” of beloved platforms, media, and brands. In this session, Lauren Wiener explores who will gain a coveted invite and who will be ignored. What’s Next for AOL's Media Business? The new creative equation for effective brand experiences combines content, data, and technology. As AOL scales its content and ads business, it is key to maintain a golden ratio. Join Jimmy Maymann, AOL’s President of Content and Consumer Brands, in a fireside chat with Bloomberg’s Betty Liu and learn how AOL is evolving in an ever-changing landscape. There’s never been a better time to reach the world with video as mobile has completely transformed people’s expectations and experience. Advancements in video technology bring new opportunities to connect in a world that’s fast, fluid and most exciting of all, LIVE. Nowhere is the action more vibrant than on Twitter, as seen with the recently launched live NFL broadcasts. Adam Bain, Twitter’s COO, gives you a behind-the-scenes look at the value and power of live video – and its advertising potential – on the most LIVE platform in the world. Andrew Bosworth discusses how brands need to rethink who they are, how they’re structured, and how they commit to taking risks in today’s customer-centric, mobile-first world. Against the backdrop of a new world order spurred by rapid digital, data, technological, and consumer behavior evolution, advertising and media has forever changed. Steve King, Chief Executive Officer of Publicis Media, discusses what the future of marketing looks like and how agencies and brands can rise to the challenge by earning consumers’ trust, driving innovation, and delivering experiences that harness the convergence of the digital and physical worlds. In fewer than two years, Backchannel, a new publication built and optimized for the Medium platform, has established itself as a key part of the tech news ecosystem. It concentrates on quality, engagement, and stories that matter. This past June, Condé Nast acquired the publication as part of its new Wired Media Group. Hear editor-in-chief and original founder Steven Levy and editorial head Jessi Hempel discuss Backchannel’s approach and its future as an innovator in editorial and advertising. It’s time to revisit the marketing adage that in order to be effective, an online ad needs to be delivered to the right consumer, at the right time, and in the right place. Programmatic advertising has made it easier to achieve these three goals, and it’s become a table stake for many brands. But the rise of mobile and recent advances in ad tech means we can expect more. The context around where an ad is served is making a comeback, and when combined with the right behavior, can help serve highly effective ads to consumers who are more likely to be receptive. To be relevant today, an ad needs to be served to a consumer not only in the right mindset, but also with the right creative—without being annoying. This session explores how the latest versions of image recognition technology, contextual targeting, and trend targeting can help achieve these goals programmatically and in a mobile environment. It highlights how creative limitations in programmatic can be addressed, and it showcases examples of groundbreaking, programmatically delivered in-image advertising campaigns from Fortune 100 brands. Second-party data has become an essential part of the toolkit for today’s leading digital marketers. At the same time, media publishers are looking for new and different ways to derive value from their considerable data assets. In this session, find out how leading marketers and media companies are crafting second-party data partnerships to benefit buyer, seller, and consumer alike. Learn about the vibrant second-party data landscape, explore second-party “deal making” best practices, understand why marketers find second-party data so valuable, and find out about the data governance and security safeguards needed to make these deals work. Mike Moreau is joined by industry thought leaders in this discussion. Teads and a premium publisher dive into recent research findings that prove premium publishers offer advertisers a unique value unachievable through social formats. 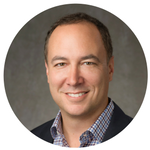 Kurt Fulepp, Vice President, General Manager – News Digital, Time Inc.
Programmatic Video: Is It Really Automated? Programmatic video seems to be the main industry topic to discuss. But behind all of this programmed or automated inventory buying and selling are humans. VertaMedia’s Head of North American Sales Ian Newfeld discusses the process “behind the curtain” of automation on the tech side and describes how programmatic should respond on the SSP side. Programmatic in China is always the odd man out; none of your global stacks seem to work, and all you hear is the local team complaining that programmatic in China is somehow “different.” But why and how is it different? In this session, learn about Chinese programmatic growth trends, why programmatic direct is more prominent than RTB, and whether global programmatic players are relevant in China. Gain an understanding of government regulations and how they impact programmatic locally. Discover why private marketplaces dominate over open exchanges, and learn why there is a lack of publisher integration standards and chaotic waterfall management. Video is the uncontested king of digital media. The sight, sound, and motion of video storytelling has unique advantages of attracting, engaging consumers, and driving actions. However, in the context of ad blocking and poor user experience, we have also seen the challenges digital video advertising has presented. AnyClip’s August 2016 survey, which will be shared exclusively with workshop participants, will discuss some major obstacles facing the industry. Advertisers seem to share the same pain points, including lack of personalization and poor user engagement. Join us in an open discussion about digital video advertising’s biggest obstacles. Experts weigh in on how to overcome these challenges to ensure that digital video revenue and experiences are maximized across the ecosystem. There is a digital audio revolution, and podcasts present dynamic and powerful opportunities for advertisers. Podcast listeners are upscale, educated, mobile, and highly engaged. Advertising opportunities range from subtle support to custom content, integrations, and host endorsements. Learn how new and established brands are harnessing this platform to drive awareness consideration and purchase. This panel shares case studies that provide examples of effective creative, smart placement, and ultimate measurement. Panel participants are podcast industry leaders representing a full range of top shows and talent including: Planet Money and TED Radio Hour (NPR/National Public Media), Serial and This American Life (TAL/Authentic), Fantasy Focus Football and FiveThirtyEight (ESPN). It’s simple: If you’re not developing advertising and content that truly resonates with customers across the consumer journey, then you’re wasting your marketing dollars. Learn how to manage fully integrated marketing campaigns that better resonate with customers to improve performance, reduce media waste, and increase marketing relevance. Key themes of this workshop include overcoming organizational silos, integrating multi-channel customer data, personalizing advertising and content, and quantifying the impact of your marketing tactics. Global Marketing Officer, Marriott International, Inc.
For the better part of the last 20 years, disruption has dominated the headlines across the media industry. This will not change, but a clearer sense of what it will take to navigate future media trends has emerged with an open debate about who will remain. Join Meredith Kopit Levien, Executive Vice President & Chief Revenue Officer, and Sebastian Tomich, Senior Vice President of Advertising & Innovation, both of The New York Times Company, for a look at how storytelling innovation such as VR and AR, the talent mix, and the roles of brand, agency, and publisher will evolve over the next five years. The Crowne Plaza Hotel, Times Square, is the Official Headquarter hotel of the 2016 IAB MIXX Conference. Reserve your rooms early. The venue will sell out fast. Only participants staying at the Crowne Plaza will receive room distributions and key conference information. Make your reservations today. You don’t want to stay anywhere else.